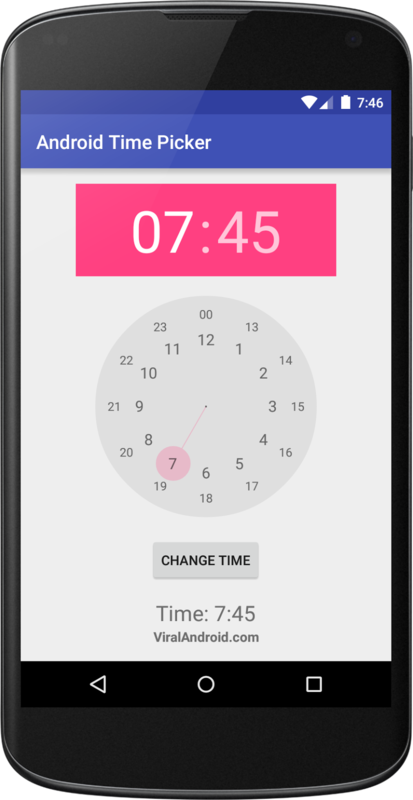 In this tutorial, you will learn to select time in android application using TimePicker widget and display the time. This time picker allows you to pick time by hour and minute. This example gives you the instructions to use TimePicker in android. Now, run your time picker application which will look like this.